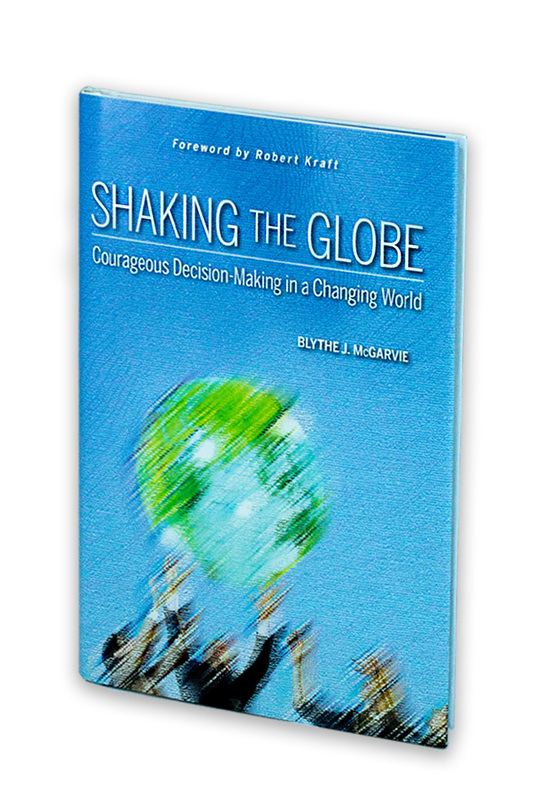 In Shaking the Globe: Courageous Decision-Making in a Changing World, Ms. McGarvie writes from the perspective of her experiences in international business. Her board work and professional experiences in India, China, Japan, France, Germany, the Netherlands, Finland, Chile, Mexico, the Philippines, Australia, Singapore, Indonesia, Turkey, Dubai, Russia and beyond have helped shape her views that the world is shaking. Business can provide a common language and goals, but only when the parties’ focus remains on business. In this book, she writes that western business leaders must develop the courage to enter new cultures with a perspective of common interest—not as people holding an attitude of cultural or moral superiority or a self-image of being dominant. 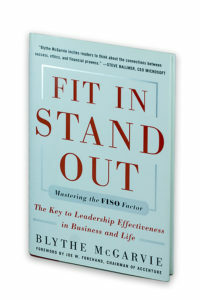 Mastering the FISO Factor, The Key to Leadership Effectiveness in Business and Life, Ms. McGarvie writes about the two critical aspects of a leader: the ability to integrate into a system and work with a team while also having the talent to transform the organization and your own career. Research showed that leadership requires 6 skills that can be developed and lead to confidence, trust, access, innovation, balanced judgment and agility. She writes how and when to fit in and stand out and provides 36 vignettes of individuals whom she interviewed and admired for their performance and genuine success in life. 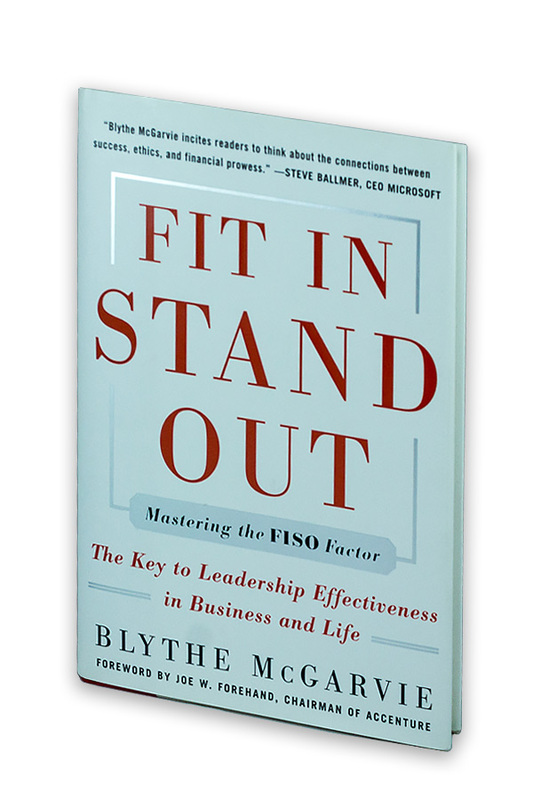 McGarvie opens the book with an author’s note explaining her passion and establishing her authority on this much-needed resource called leadership. Published by McGraw-Hill in October 2005 and distributed outside the US, including Spanish, Indian and Russian language versions. Joe Forehand, former Chairman and CEO of Accenture wrote the Foreword. How do you live a courageous life? How can you live a normal life and also make a difference to society? Audiences from all generations, particularly baby boomers and millennials, ask me these questions and wonder. They are interested in contemporary people who overcame difficulties to build a career, a family and independence. I searched for the stories of Americans who reinvented their lives after adversity—figuratively, falling off the wall-- to pull their lives together. Over a three-year period beginning in 2015, I interviewed men and women about the struggle for women’s equality in the United States during the last five decades of the 20th century. From that experience, I learned several insights to the key to success, including self-reinvention and resilience. I want to share the learnings from my research in this new project.